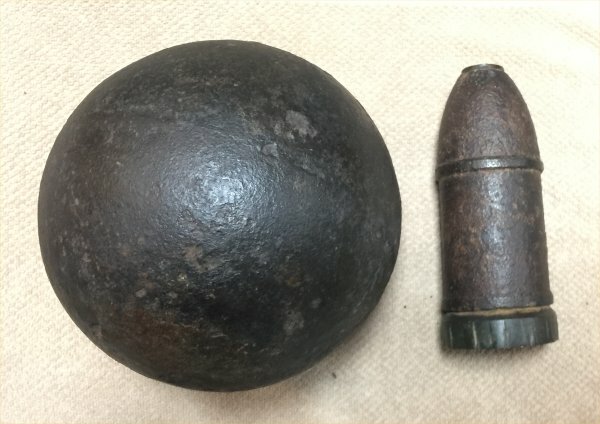 Description:This is a very nice example of an 8" solid shot from Spanish Fort, AL where a lot of great artillery has been found. 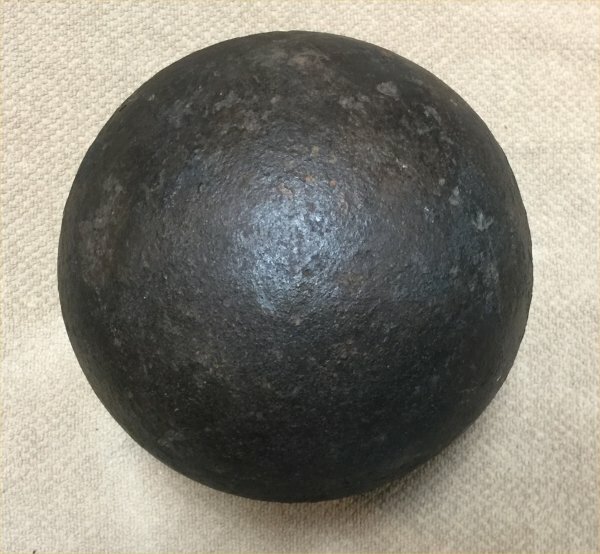 I belived that only the Confederates had 8" cannon at Spanish Fort so this ball should be CS. 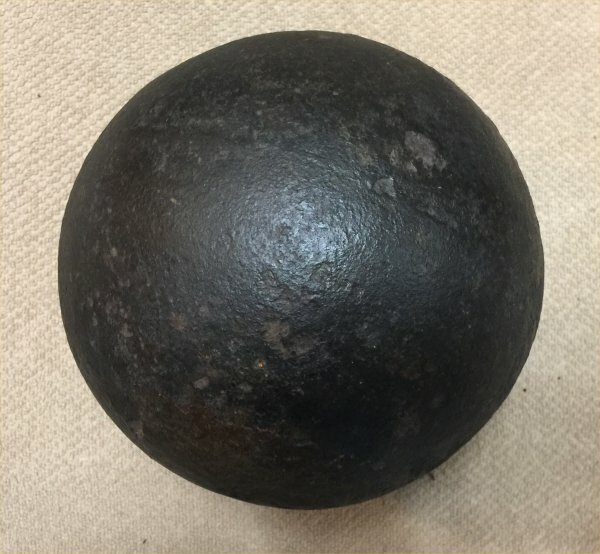 There is a big variety of 8" balls used in the American Civil War with all types of different fusing and tong holes. But the 8" solid shot is not very common. We've sold a bunch of 8" shells but not many shot relatively speaking. This shot is very solid with real good iron. There is a decent mold seam on one side and faint on the other. This is a good example and every collection should have one so be complete.